Barron advocates and enables ethical design with clients including Boots, E.ON, Intel, Lego, The Body Shop and Unilever. His research enables his practice to take a systemic approach, extending beyond the design of products to the systems they inhabit. Bottled water is perceived as aspirational, tap water as inferior in taste and for well-being despite objective disproof (Doria 2006; Jakus et al. 2009). Bottled water can approach 500 times the price of tap water and generates 300 times more carbon during production and transport (Nicolucci et al. 2011). 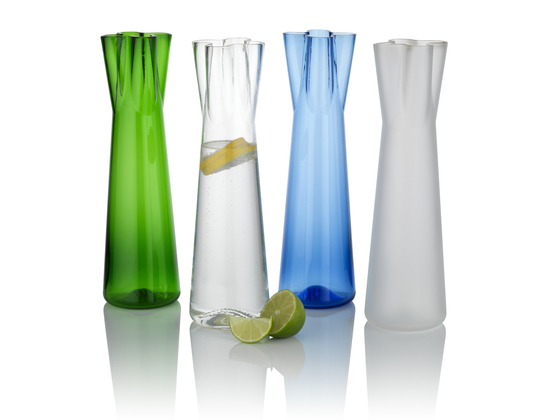 Plastic water bottles, in principle recyclable, often go to landfill (Gleick 2010). 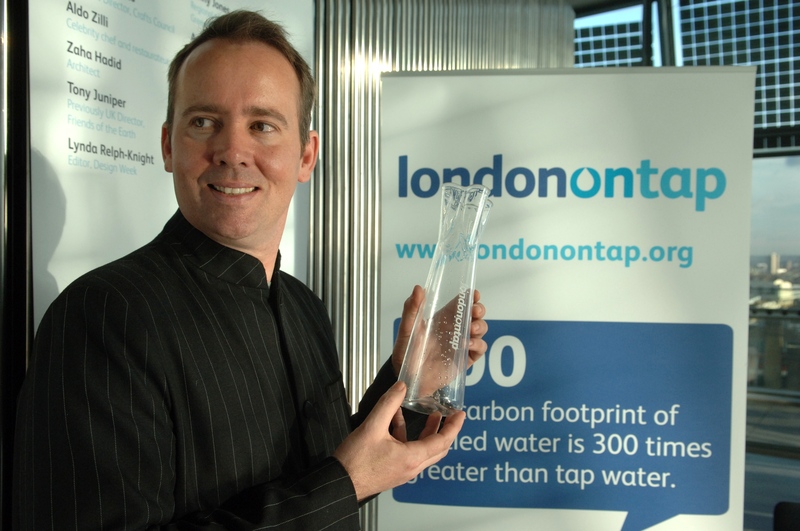 Barron’s TapTop recycled-glass water carafe responded to a call ‘to promote London’s drinking water through restaurants, bars and hotels’. 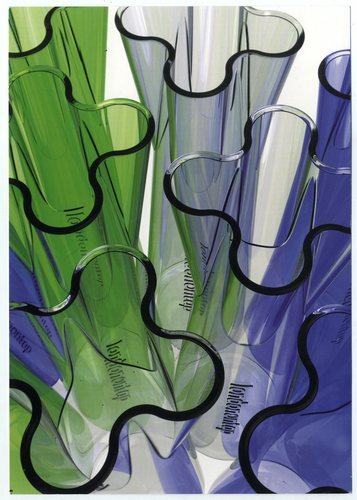 It won the London on Tap design competition in 2008, from 115 entries. The shape was derived from a tap control, reinforcing the campaign message. Rosy Greenlees, Crafts Council Director and Chair of the judging panel, praised it as ‘democratic’. Judges included architect Zaha Hadid, restaurateur Aldo Zilli and environmental campaigner Tony Juniper. TapTop is manufactured in Britain from about 60% recycled glass. Barron’s research included close working with toolmakers and glassblowers to make a shape entirely beyond their experience – a form which was on the edge of what could be produced through volume production – and propositional research in displacing one business model with another that is sustainable. 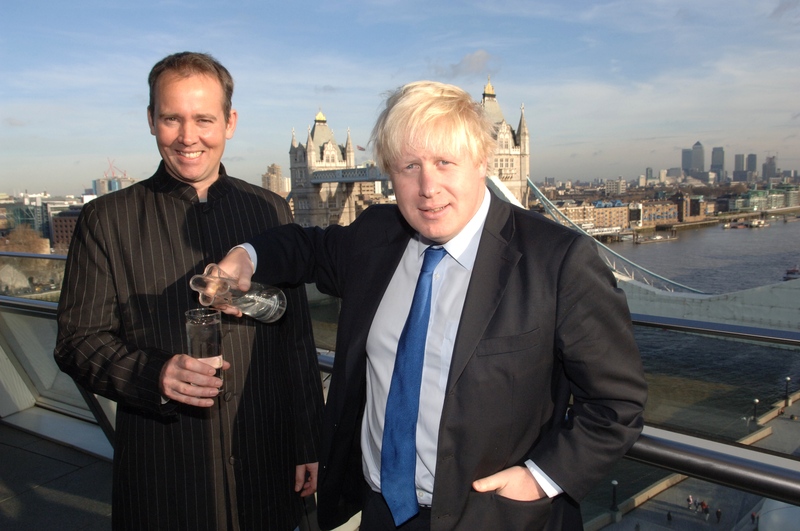 The carafe was put into production in 2009: the initial run was 20,000 carafes, with all profits going to WaterAid. It was given to all the UK’s MPs and Europe’s MEPs. It was featured in newspapers and magazines including the Guardian, London Evening Standard and on the front cover of Design Week magazine, and online including Dezeen and websites internationally. It inspired other similar campaigns in other cities around the world.